The Nigeria Innovation Summit is an annual event that focuses on the need for the country, businesses, organisations, entrepreneurs in Nigeria to become more innovative and apply innovation to drive sustainable development as we work together to bridge the digital divide.This summit helps Nigeria embrace innovation and move in the direction of digital transformation through the use of Emerging Technologies and Trends, Research, Development, Commercialization,Entrepreneurship and Investments as the key drivers of an innovation ecosystem.This is a platform that creates awareness on the need for Open Innovation in Nigeria.It challenges Nigeria to leverage Innovation and become more competitive in the global economy. The Green Campus Initiative will have a special panel discussion on Green Entrepreneurship. 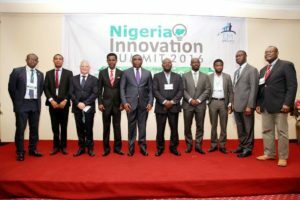 How to build an Innovation Ecosystem in Nigeria and connect with global innovation opportunities around the world and Exploring Open Innovation in Nigeria.